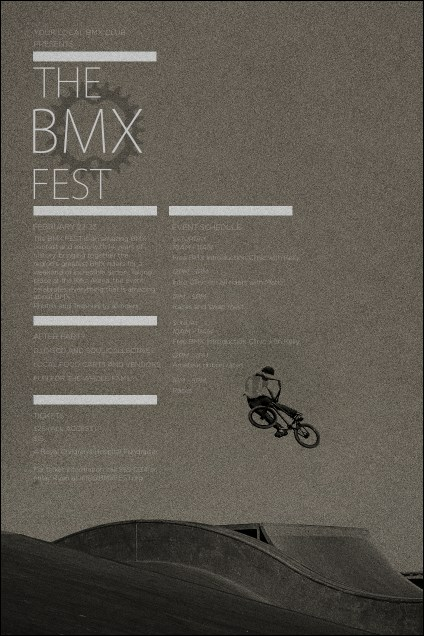 Step-up and get attention for your competition when you use the BMX Poster around town! A rider gleefully performing air tricks helps to catch the eye of any passerby. This template has a whopping forty text fields that can easily be edited to hold all your function specifics. Find the right poster for any event when you shop TicketRiver.com.au!